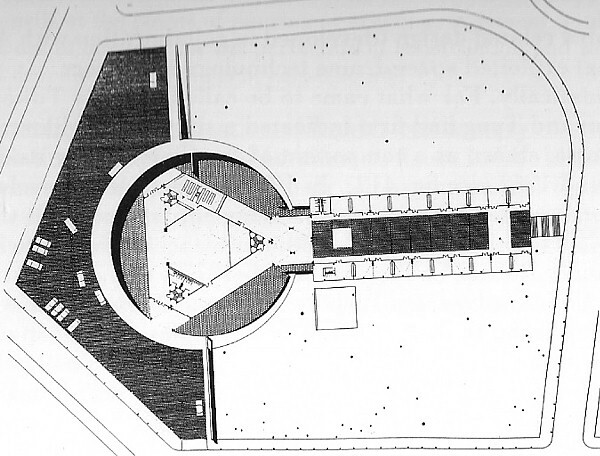 It dawned on me last night that both Wright's Beth Sholom and Kahn's Adath Jeshurun are hugely triangular in plan. 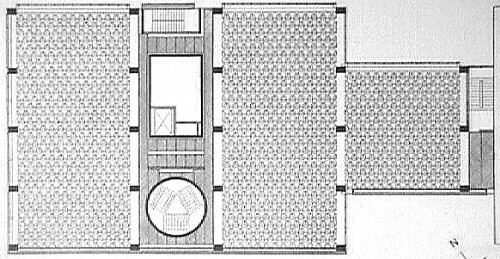 Wright mailed the preliminary drawings to Rabbi Mortimer Cohen on 15 March 1954. 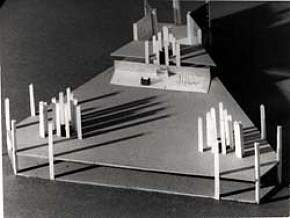 Kahn's design is dated 1954-55. 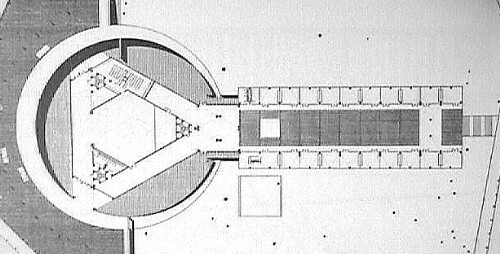 Since Beth Sholom and Adath Jeshurun are neighboring congregations, it wouldn't surprise me at all if architectural rivalry between the congregations was going on, and that Kahn even saw the Wright plans before he came up with his design. Has anyone heard of this possible connection before?